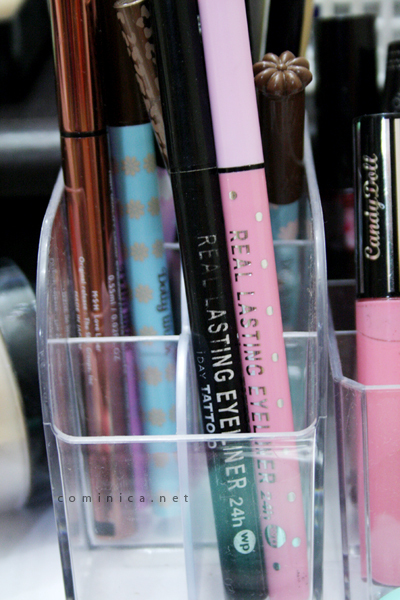 So today I'm going to share about a liquid eyeliner which disappoint me a little. 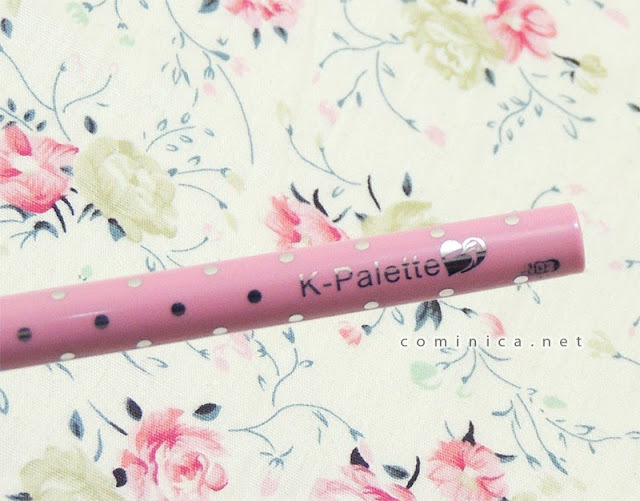 This kawaii eyeliner is from K-Palette, if you don't know this is a Japanese make up brand. 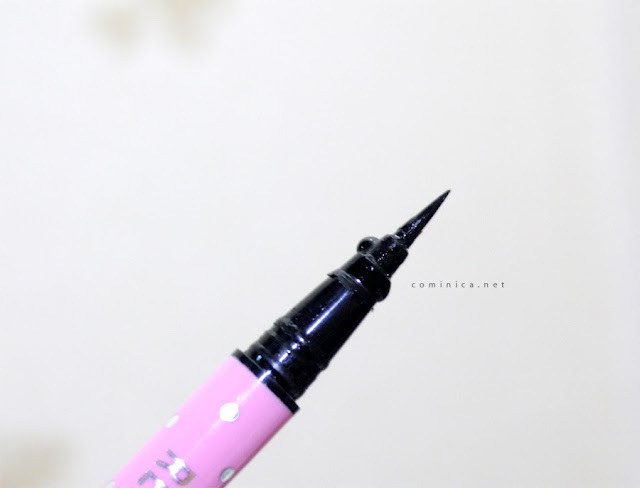 This liquid eyeliner comes in cute pink polkadot packaging, I think it's so adorable. Instead of their usual black packaging, I really love this one. You can read my review about other k-palette eyeliner "here". I think the texture is quite promising because it looks thick and gel-like. 24 hours? Definitely not true, lol. It can stay just about few hours on my eyelid and can turn flaky a little bit after a while. Especially if I'm sweating or yawning. This eyeliner can't stay on my eyelid all day, but it didn't make the whole make up looks dirty or messy. It works better in normal condition though, I mean no sweating and humid temperature. I wasn't really sure because some people rave this liquid eyeliner and personally I don't think this eyeliner is that good. lol. Cute packaging! That's definitely something Japan always tries to do with their packaging~ but I'm happy with the current eyeliners I own, even if the packaging isn't kawaii! It's usually around 20 dollars, but they sell it on ebay for 15-17 dollars. The packaging is so cute XD!!! Hey! I think that this eyeliner is must-buy!